Federal employees have some unique benefits they can utilize to improve their financial security. Let’s take a look at these while at the same time discussing some good practices that can be followed by anyone, regardless of their employer. I’d like to begin with some advice your grandfather probably gave you…don’t spend more than you make! Short, sweet and simple. Bad things tend to happen if you make a habit of spending more money than you bring in every month. Of course, there are times when you have a big ticket item you need to buy that will skew your budget for the month. That, however, should be an odd occurrence and shouldn’t be the norm. Ideally, you should have some money set aside or budget for these large expenses. I tell clients that one of the things you can control that has a huge impact on your finances is how much you spend. I’ve consulted postal service employees that have modest incomes that are financially fit to retire because they have a handle on their spending. On the other end of the spectrum, I’ve had highly compensated Senior Executive Service employees delay retirement because they weren’t financially ready to retire due to their lifestyle. Another piece of basic advice that everyone should consider is to not invest in something you don’t understand. Stay away from complex investments that can’t be plainly understood. There is no need to complicate matters with exotic transactions that are often unregulated. Binary options, a recently popular trading concept, is an example. A google news search of this term reveals countless allegations of fraud and court cases related to people being separated from their money. Be aware of how illiquid some investments can be. Most stocks and bonds can be sold and have the funds deposited into your account within 3 days. If you own real estate, it may take months to sell and liquidate your investment. Other investments have the potential for losing a significant portion of their value if you have to sell prior to a certain holding period, such as certain annuities and non-traded Real Estate Investment Trusts (REITs). Let’s take a look at three benefits federal employees can leverage to improve their financial security. Those employees that fall under Federal Employees Retirement System (FERS) can take advantage of matching funds if they contribute to the TSP. An easy rule of thumb to remember is if you contribute 5%, the government matches 5%. This is basically free money available for the taking. Civil Service Retirement System (CSRS) employees don’t benefit from the matching funds, but they can take advantage of the tax deferred benefits it offers. In 2019, federal employees will be able to contribute up to $19,000 during the calendar year in a tax deferred basis into their TSP. There is also the catch up contribution available to employees that are turning 50 or older in 2019. The maximum for that is $6,000. It is good practice to review your insurance options during the yearly open season. There may be changes to the benefits offered by your current health carrier which may impact how appealing they are to your personal situation. There could be price changes which cause you to explore alternatives. Don’t forget about dental or vision insurance, which rolls over automatically if you don’t make changes. The website for changes to these plans is benefeds.com. Can you take advantage of a flexible savings account for health or dependent care (fsafeds.com)? You set aside pre-tax dollars for these two items, and then get reimbursed as your expenses are realized. Depending on your tax bracket, this could add up to significant savings. Finally, check your need for life insurance. As you get older, the cost of life insurance can surge. Do you still need it? Remember that the purpose of term life insurance is to replace income lost by someone that passes away for someone that is dependent on it. People’s needs change over time, so it is prudent to review your insurance needs periodically. Federal employees receive both sick and annual leave. Everyone receives 4 hours of sick leave per pay period and up to 8 hours of annual leave for those with 15 years of service or longer. There is no limit to the sick leave you can accumulate, while annual leave is limited to 240 hours that can be rolled over from year to year. There are some classes of employees that can bank a higher amount, however. Sick leave can function as a short term disability insurance if you are fortunate enough to be able to build up a comfortable amount of leave. 1,000 hours of sick leave translates to about 6 months of leave. In the unfortunate event of a lengthy illness, you can rely on your sick leave to continue providing your federal salary. In addition, any unused sick leave can be applied as service credit for annuity computation at the time of retirement. Unused annual leave is paid out at the time of retirement, so it is a nice paycheck to receive at the time of separation until your full annuity amount is settled by OPM. The opinions voiced in this article are for general information only and are not intended to provide specific advice or recommendations for any individual. Carefully consider your investment objectives, risk factors before investing. Investing involves risk, including the possible loss of principal. Diversification and asset allocation may not protect against market risk. Nothing in this article is intended as legal or tax advice. Please consult with your independent legal or tax advisor to seek advice based on your particular circumstances. For a list of states in which I am registered to do business, you can visit www.adviserinfo.sec.gov and search for my name. © 2019 Alexis Hongamen. All rights reserved. This article may not be reproduced without express written consent from Alexis Hongamen. Alexis Hongamen founded FederalRetirementAdvice.com to exclusively help civil servants with their financial planning & investment needs. As a 25 year federal employee & a Chartered Retirement Planning Counselor, he writes about financial matters of concern to gov. employees & retirees. He can be reached at (407) 900-1653. 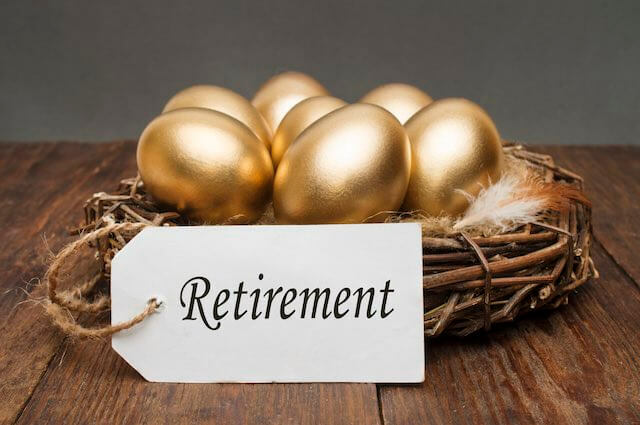 Will My Federal Retirement Benefits Be a Meaningful Source of Income for Me? How Will the New TSP Rules Affect You?